“It is highly unfortunate on the part of human race that they are unable to recognize their hidden potential. They are using only one out of lakh part of their capabilities and even by using this very part, they are today counted in the list of highly sage people,” says Swami Vivekananda. God has gifted us the invaluable equipment called brain, but we are ignorant to use the potential of the brain effectively. Our brain, a fist full 1.4 kg lump of wrinkled tissue with no moving parts, no joints or valves, not only serves as the motherboard for all other body systems but, is also the place for our mind, thoughts, senses. It is also a place for all our emotions, joys, and thought processes. 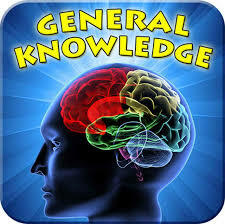 Through the master gland pituitary, the brain controls the harmonal activity of the whole body. It is indeed a super computer, best that a man can ever think of. As it is our most valuable possession, it needs to be taken care. Most of us use only 2% of the capacity of the brain; the more we use it, the more it grows; by using more synaptic connections conducive to the growth of boutons / dendrites. There is an old saying "use it or lose it." There are the four levels of Mind: Conscious level, Subconscious level, Super Conscious level and Unconscious level. Our Mind has three states: wakening state, dreamless sleep state and dreaming state. Our Conscious mind is active only in the wakening state and in rest of the states, others three levels are active. It is the powerful mind that has been storing all kind of information since the day we were born. Even we have stored past births karmas (Psychic impressions) in this mind only. It stores the information that we are not consciously aware of. It works under self hypnosis. This Mind stores all the information in terms of mental pictures. It is very vast repository of images. It has photographic memory. It can easily recall the mental images. It deals with our imagination power. So, the most seminal point is to nurture it. It can be nurtured through self hypnosis process by giving it auto instructions. It is the super computer of our brain. It works according to intra cellular programming. The Three important processes of Memory. Encoding –It is the process of translating info into neural codes (Brain language) that will be retained in memory. Storage –It is the process of retaining neural coded information over time. Retrieval –It is the process of recovering information from memory storage. This is the most important method of the memory which is used to encode the abstract data. First, we shall understand the word encoding. This is the process of converting abstract data (texts, alphabets, characters and digits) into specific language called brain language. Our brain understands photographic language. 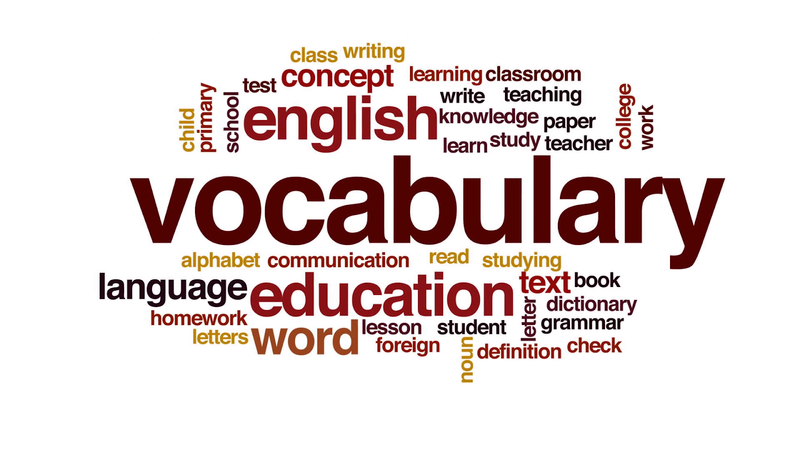 We will convert abstract words into the words called as Substitution words or link words or key words also. It means we will memorize abstract words with the help of link words. Now, we will understand this process with the help of some examples. Say for example, we want to encode the names of countries and its capital. Albania is the country and the capital is Tirane. Now, Albania is an abstract word. We can convert this word Albania into a tangible word Album. We will convert the word Tirane into the word Rain. Now in this process, the word Album has same pronunciation as the word Albania. Similarly, the word Rain has same sound as the word Tirane. Similarly, we can make the link word for any abstract word. We just have need to practise this process. Our thought process is completely based upon images/pictures. Even we can’t utter a single word without looking at some picture on our mental screen. Therefore, whatever we need to memorize should be converted into mind images called as the brain language. Association means Linking or Connection. This is the association between two information. One information is already there in our Brain. Second information is in the outer world which we are to memorize. This Law establishes the connection between these two information. Now, we will learn how to link two objects. Say, for example, there are two objects- Door and phone, we can associate these two objects by making an imagination in which a Phone is hanging on the Door. 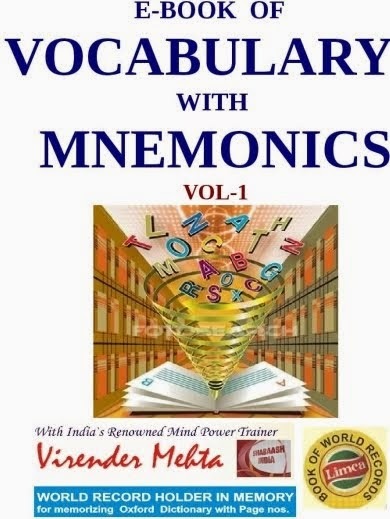 With the help of these Laws and Memory methods you can memorize Vocabulary, Abbreviations, Definitions, Facts, Rules, Speeches, Essay, Long answers with subheadings, Numbers, Formulae, Numerical values, Reactions, Dates, Notes, Quotations, Lecturers etc in Academics and Names, Faces, Numbers, Lists, Telephone numbers, Routes, Directions, Time Table, Events, Meetings, Appointments, Promises, Birthdates, Important Dates, Calendar, Playing Cards, Headlines, Price, Key points (To do list) etc in Daily Life. 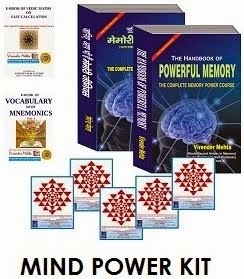 This Memory Article has been taken from this MEMORY POWER COURSE Book written by Virender Mehta. This Pranayam involves huming like a bee (bhramar). Hence it is known as Bhramari Pranayam. Procedure: Sit erect in Padmaasana and take a deep brat, close both ears with the index fingers. Hold the breath for sometimes and while exhaling, hum (Om) in a legato tone just like the humming of a bee. This develops memory power.